Remember TV actress Parul Chauhan aka Ragini from the famous Indian TV serial Bidaai? If you are still confused between the two leading ladies of that show, let us give you some detail. 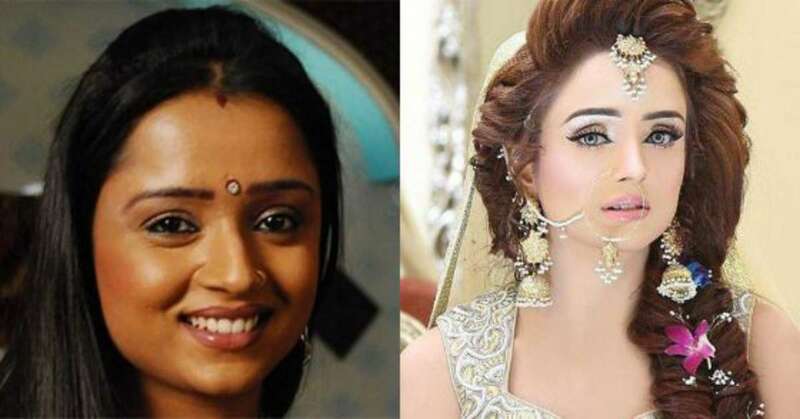 Parul Chauhan played the role of a dark complexion woman named Ragini on the superhit show ‘Bidaai’ with another leading lady and famous actress ‘Sara Khan‘. Below is her still from that famous TV serial. The actress became a household name after her serial became a hit and became an absolute favourite of the masses. But, once the channel decided to end the show, Parul Chauhan vanished from the industry with only small roles in her kitty in TV shows like ‘Meri Aashiqui Tumse Hi‘ and ‘Punar Vivah – Ek Nayi Umeed‘. But, now she’s back in the news and her new pictures are going viral because of the drastic makeover she had in the past few months. From hair to costumes, Parul Chauhan managed to get beautiful and glamorous day by day. Once having a cute and simple look, Chauhan has ditched her previous image and you will see her in a glamorous avatar now. Are you already feeling shocked after seeing Parul Chauhan aka Ragini’s amazing transformation? If you liked the post, make sure to share this post with your friends and loved ones.